Here's another #ExcellentExample - in this case, a good-looking website that does its job. Take a look at the Halvorson Design website. It's not fancy, but fancy isn't the point. The point is to get prospects to call the firm. So Why Does This Website Work? It's clean, easy to navigate and understand. (Life is distracting enough.) Hint: white space helps! It's up-to-date! Prospects can see right away that the firm is busy and on the ball. Sharing succinct messages about recently-completed projects tells the world: we get things done. A site visitor's next step is obvious. In this case, the call to action is subtle, but clear. (For professional services, subtle is good. If you're selling consumer goods, you'll NEED TO BE A LITTLE LOUDER.) On each page of the design firm's site, the contact is clearly listed on the right of the page. With a lot of white space...nothing to get in the way of your decision to call. Nice. You don't need an expensive website. You do need a plan. Clean design and updated content gives prospective customers confidence; it makes them want to work with you. You can do this. We can do this. Not sure? Here's a shot of confidence for you. Do you need a little help with your website? Have you been managing your site in-house and find you're falling behind? Want a different set of eyes and a fresh perspective on your site? A Website Reality Check can make a BIG difference, and through the end of the month, it comes at a much lower rate. Find out more; book now to save. What do you get from a Website Reality Check? More than 50%! The initial consultation is reduced to $45; per-page rate just $35* for the month of July only. *Limited to the first 5 projects booked. Remember: in most cases your website is the first impression customers get of your business. Make sure it's a good one. Video is everywhere, and there are dozens of tools to help you do it well and inexpensively. The cost to hire an expert video firm is dropping, too, thanks to competition. Ask yourself if you really need it. Ask yourself if your prospects and customers want it. Ask yourself if you're committed to making it worthwhile. Because if the answer to any of those questions is less than an enthusiastic yes, you need to go back to the Content Drawing Board, also known as Marketing Plan 101. Yes, I'm a copywriter, content manager, marketing communications professional and all-around lover of words. But, I don't believe in content for content's sake. Want to talk about how content can help you attract the right kind of prospects and turn them into customers you'll love doing business with? << This is a good example of smart video marketing. Why? 1. 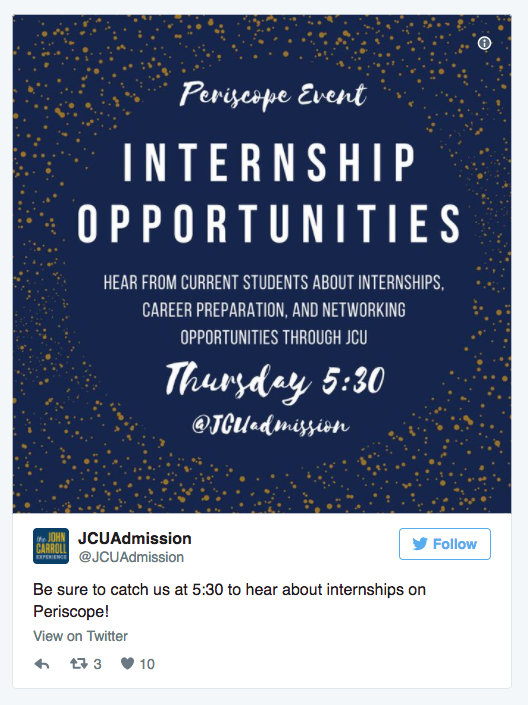 The right tool for the right audience - college students and interns are eating up video. 2. What's better than a testimonial? a testimonial on video! 3. 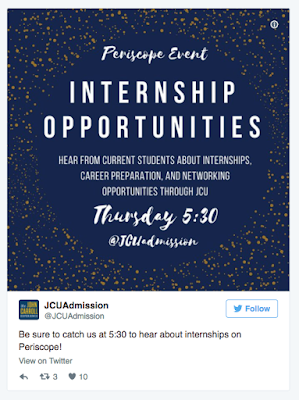 The live event will live as relevant marketing collateral for at least the rest of the summer, probably well into the fall, or even spring semester. New to video? Periscope is Twitter's video tool; Facebook Live threatened to eclipse it in 2016. Instagram has its own (stories). It's important to note that you don't need to use social media to use video (and vice-versa) - and the tools to create video are getting better, cheaper, and easier to use every day. So while it's easy to get overwhelmed (or excited) about the tools, the important thing to remember is that, unless you're in the movie-making business, video is about marketing. The tools change constantly; the principles remain pretty much the same. File under "Common Sense Marketing." If you like the sound of that, get in touch.